Twins with their parents after their baptism at Sts. Constantine & Helen Greek Orthodox Church. Sean and Lucas were recently baptized at Sts. Constantine & Helen Greek Orthodox Church in Merrillville recently. 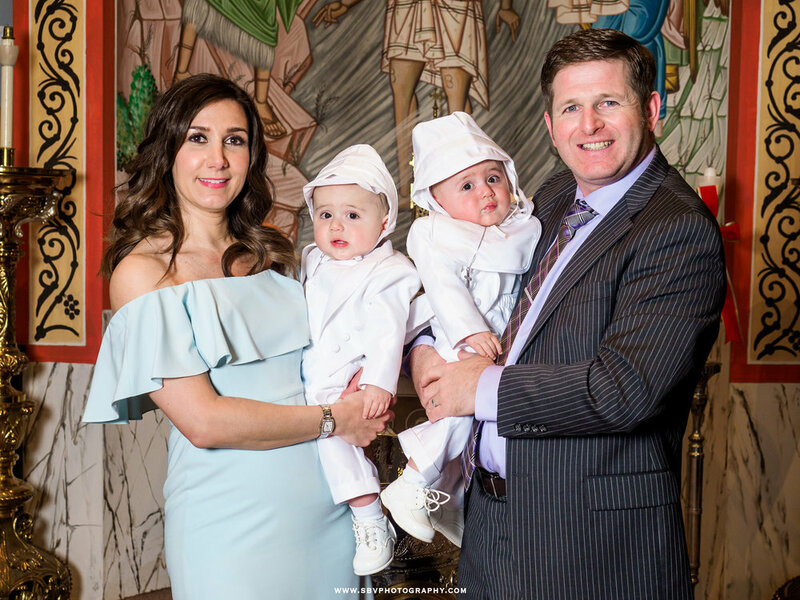 The baptismal chapel was filled with family and friends as the two little ones received their admission into the church. Family arrives for a twin baptism at Sts. Constantine & Helen Greek Orthodox Church. The two little ones were in quite good spirits this chilly Spring day. Happy baby during his baptismal ceremony. A twin baptism at a Merrillville church. Children are blessed at their baptism. 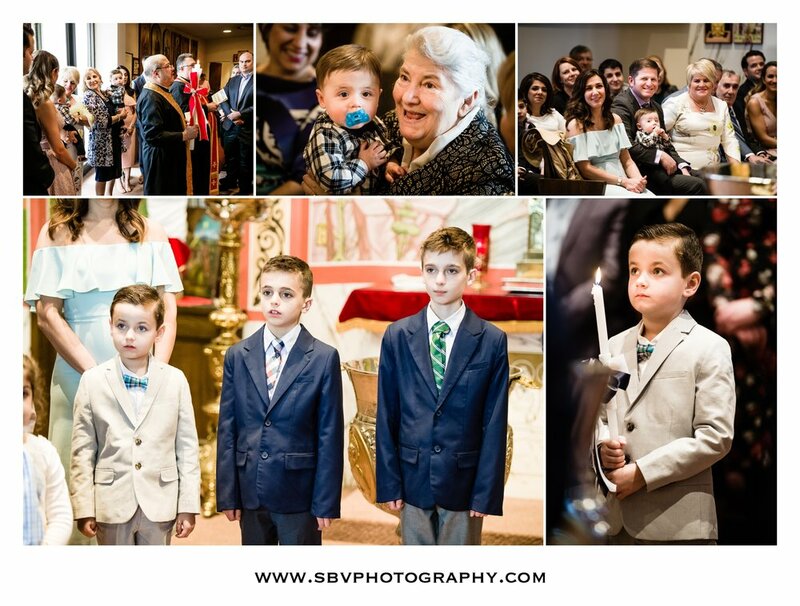 I hope you have enjoyed this sneak peek look at Lucas and Sean's twin baptism at Sts. Helen and Constantine Greek Orthodox Church in Merrillville, Indiana. To inquire about your own event, please fill out the Contact Form right here. 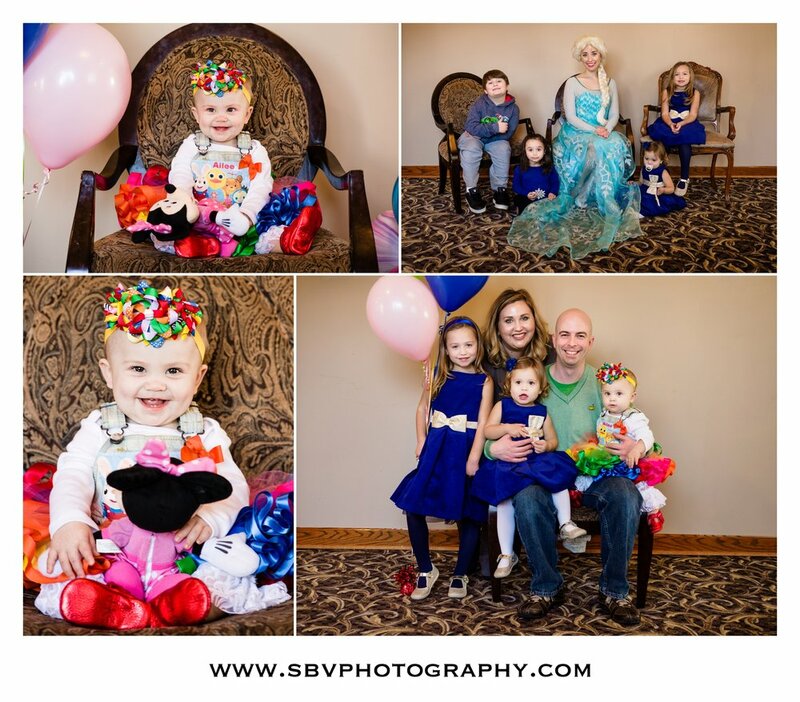 Family party portraits at Andorra Banquet Hall in Schererville, Indiana. Last Saturday saw quite the family party at Andorra Banquet Hall where Ailee and her family celebrated the little one's first birthday. It was also a post Thanksgiving holiday party where friends and family mingled before and after lunch. Candid photos from a family party at Andorra Banquet Hall. The birthday girl gets excited!! The party saw the appearance of Elsa from Frozen for some stories and singing. This had the birthday girl all smiles. The kids even had their portrait taken with Elsa as well as family. This has been a sneak peek look at a holiday family party at Andorra Banquet Hall. I very much enjoyed capturing all the smiling faces at this get together. To inquire about Event Photography for your next gathering, please fill out the Contact Form. Enjoy! !